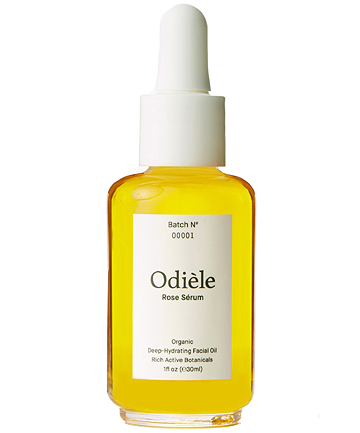 Odiele Rose Serum, $125 Healthy, vibrant skin makes applying makeup a whole lot easier. Not only is there less to clear up, but there's less of a need to apply colors since the skin is naturally vibrant. To help her clients achieve a naturally dewy and invigorated look, makeup artist Jessika Bekteshi turns to Odiele Rose Serum. "It's 100 percent organic and contains argan, rosehip, almond, jojoba and primrose oils, which help calm irritated skin and also act as an antibacterial," she says. "I also love the fresh scent of rosemary and rose oil." According to Bekteshi, all of her clients comment on how it makes their skin feel, which is all thanks to the nourishing ingredients, she says.